“So appreciate your willingness to be flexible! It’s one of reasons we continue and recommend to others!!!! !” – Randee M.
* may be used to extend lesson time or add a second instrument. Michelle Tuesday Music School offers private music instruction in most instruments including voice and songwriting. Tuition is charged on a monthly basis for weekly, 40-minute standard private lessons. Extended upgrades (additional 20 minutes) are also available for more advanced, highly motivated students and students who wish to study two or more instruments. “Spencer is really enjoying his lessons and Zach. He will, without any prompting from us, go to our piano and play! It’s such a joy to see him at the keyboard, happily playing the tunes he has learned (memorized!). We’re hopeful that the fire continues to grow!” – Dean S.
At MTMS, standard private music lessons are 40 minutes, once per week at a regularly scheduled lesson time. 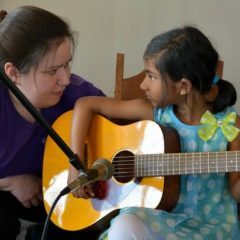 Students work on the desired instrument with a qualified instructor by strategically building conceptual understanding, strengthening dexterity, and developing a repertoire of progressively more advanced songs. 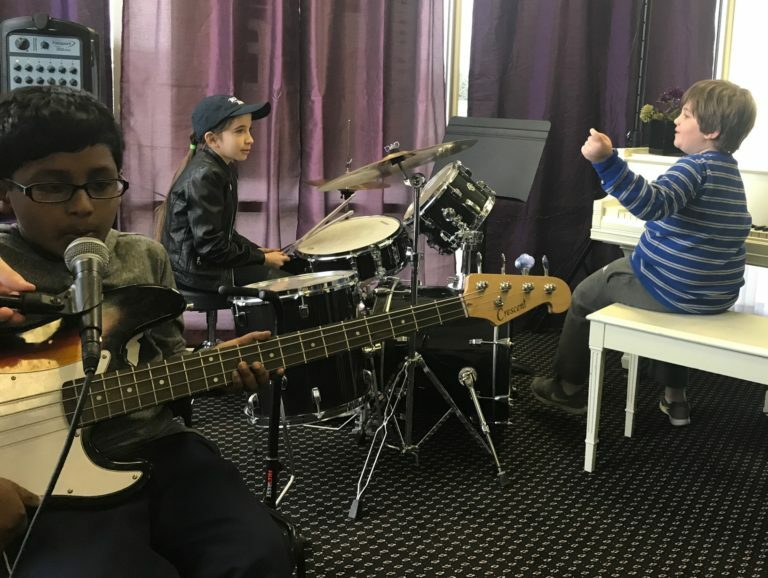 All private music lessons include 20 minutes in our computer lab, where our students learn music theory, ear training, rhythm training and composition with age-appropriate, state-of-the-art, interactive software. A computer lab attendant monitors the lab at all times to assist students with difficult concepts and keep students on track. Our instructors and computer lab attendants use progress reporting to document weekly assignments and track student development over time. “We are proud of the way (our son) has progressed. He sure does love music. We are so thankful for the music school and great teachers he has had.” – Angie G.
Private lesson students are invited to perform at all of our recitals, parties and events throughout the year at no cost to the student. We highly encourage our students to take advantage of performance opportunities, and particularly recitals. Not only can students practice performing in front of an audience, but parents can monitor student progress. You should expect to see your child’s performance growing more advanced with each performance. Adult-only recitals are offered four times per year, where our adult students may perform for each other in a relaxed, fun environment. 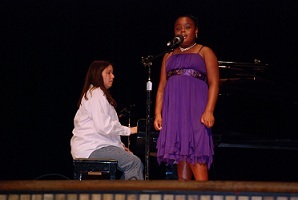 Adults are never required to perform at recitals, but are always encouraged to do so.